20 Years. 200,000 Words. 1000’s of Ideas. And Counting. From award winning print collateral like corporate capabilities pieces and leave behinds, to a wide, deep array of print and electronic advertising inclusive of sales-driving magazine ads, banner and web ads, e-blasts, direct mail and just about anything you can put colors, words and pictures on to make a statement or move a needle, PUNCH has run the gauntlet and seen print die, officially, three times now. From Hewlett Packard, PPG Industries, ALCOA Recycling and Transitions Lenses, to industries ranging from manufacturing and retail to professional services and non-profit, PUNCH leads with its write. Print is the Lazarus of advertising. If it didn’t work or come successfully back to life over and over again, people would stop doing it. 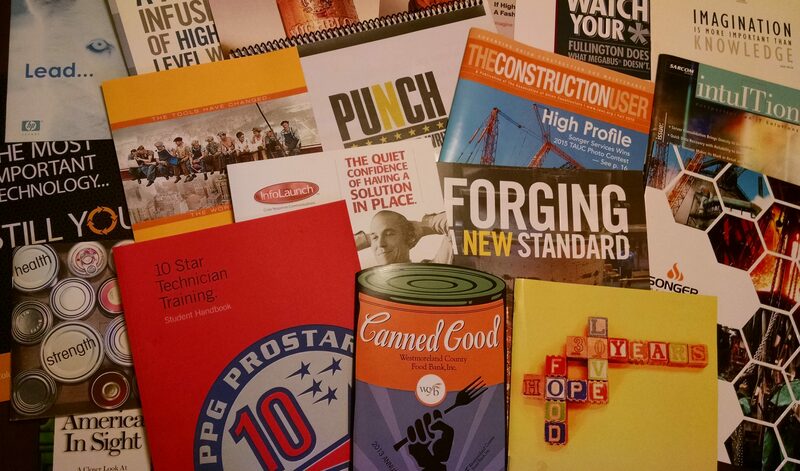 Contact PUNCH today to see what life we can bring to the print side of things.